An unaltered photocopy of your DD-214 displaying your Army service in Vietnam during the operation period of 8 January to 28 January 1967. 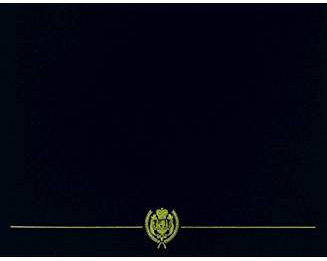 If your service dates in RVN are not displayed on your DD-214 you must submit a copy of your DD-214 - AND - a photocopy of military-issued documentation establishing your eligibility. 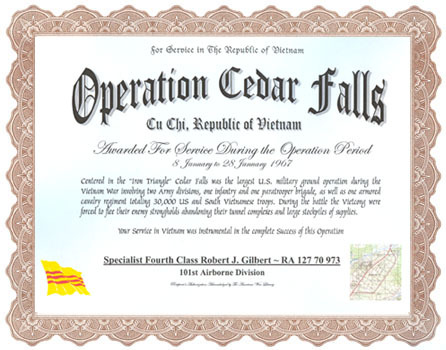 Centered in the "Iron Triangle" Cedar Falls was the largest U.S. military ground operation during the Vietnam War involving two Army divisions, one infantry and one paratrooper brigade, as well as one armored cavalry regiment totaling 30,000 US and South Vietnamese troops. During the battle the Vietcong were forced to flee their enemy strongholds abandoning their tunnel complexes and large stockpiles of supplies.